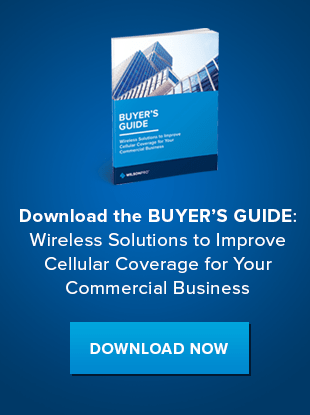 Poor cell phone coverage inside a commercial building can affect call quality and data reception, potentially disrupting business and resulting in frustration. A cell phone signal booster is a reliable solution for improving reception because it collects the existing cell signal outside the building, amplifies it, and rebroadcasts the amplified signal inside. If you’re an installer, here are some best practices you can follow during installation to ensure that your customers get the most power from their cell signal booster equipment. When you’re first getting started, it’s important to pay attention to cell signal carriers and frequencies. Some boosters only enhance the signal for specific carriers. Others are carrier-agnostic — meaning they enhance the signal on all available frequencies, for all carriers. The latter is especially important in a commercial setting where multiple phone users on multiple service carriers will access the building each day. 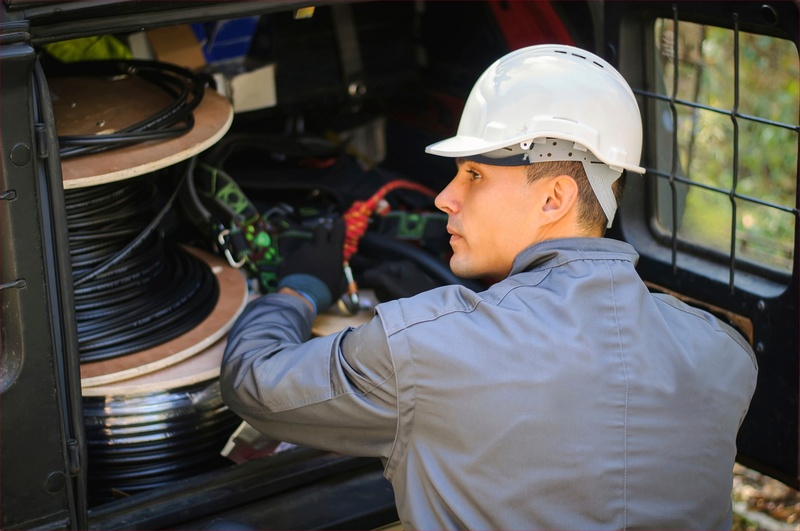 In other words, choosing a booster that will boost signals for all major providers (Verizon, Sprint, T-Mobile, U.S. Cellular and AT&T) is a crucial first step when it comes to installing boosters in commercial buildings. Begin by using a signal meter to determine which carriers’ signals are available and where they’re coming from. There are different types of outside antennas — or donor antennas — you can choose when installing a cell signal booster. The donor antenna is the component of a cell signal booster that communicates with the cell tower. Most signal boosters use a stand-alone donor antenna connected to the booster unit by coax cable. The two types of donor antennas are directional and omnidirectional. Directional antennas are designed to point directly at a cell tower. Directional antennas receive signals from a specific direction and must be pointed directly at the signal source for prime performance. This type of antenna is ideal for environments where the signal outside the building is especially weak (less than 80dB), or too strong (greater than 45dB). Omnidirectional antennas receive cell signals in a 360-degree pattern, picking up signals from all directions. An omnidirectional antenna is recommended when the outside signal is sufficient (not too weak and not too strong) for the building’s coverage needs, or when cell towers for the different carriers are spread in various directions from the building’s location. This type of antenna is best when there’s no need for the targeted accuracy of a directional antenna. Omni antennas are often the best choice for commercial installations. Find out more about signal survey’s and booster solutions for your business. When it comes to connecting the booster to the donor antennas (as well as the indoor broadcast antennas), there are certain practices that ensure you’ll get the most out of the equipment. Use high-quality cable. Some booster kits come with coaxial cable included — but it’s not always the best cable for the job. Low quality cable can contribute to signal loss, so it typically pays to use the best you can. For example, RG-6 cable is a better choice than RG-59-Mini, and LMR-400 cable is superior to RG-58 cable. Use shorter lengths of cable. When connecting cables and amplifiers, use the shortest length of coax cable possible. When you use longer lengths of cable, there’s greater potential for signal loss across the cable run. Choose shorter cables runs when possible to avoid excess signal loss. Put adequate space between antennas. If your donor antenna and broadcast antenna are not far enough apart, there’s a chance your signal will get lost in a feedback loop, also known as oscillation. If you can’t move the antennas farther apart, try installing a shield to prevent the antennas from “cross-talking” to one another and creating an oscillation condition. Account for additional antennas. Commercial buildings may require multiple broadcast antennas to reach distant rooms or cover irregularly-shaped spaces. Use a cable splitter to effectively split the signal in two and send it to two different broadcast antennas. However, be aware that splitting cables halves the strength of signal sent to each broadcast antenna . Have you followed all these tips and still need more boosting power? In-line boosters can help replace signal loss when using long cable runs or splitters. Use them to augment the power of the whole booster system, or the signal to or from on antenna.. There are many ways to optimize a cell phone signal booster. Just remember that every commercial install is different, and there are multiple solutions that can improve a poor signal. If you need assistance with your next installation, contact the experts at WilsonPro.